This inspiring architecture in the world is a walled fortress which is located in the city of Cusco. The huge monument is located at 3701 m altitude and is spread across thousands of acres of land. 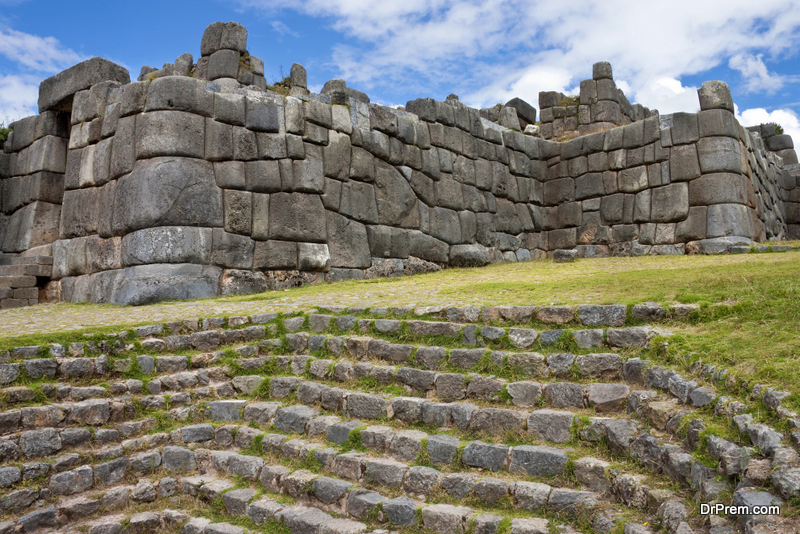 The structure was built by the Incas and is made of stones of various shapes and sizes. The biggest stone weighs at least 200 tons. The unique feature of this Greatest Architectural Wonders Of Ancient World is that the stones were cut and fitted perfectly without the use of any mortar. This city in Rome is an archaeological wonder. It has many temples, courtyards, porticoes, and palatial stairways. The Romans and Greeks called the city Heliopolis or the ‘The City of the Sun’. The Taj Mahal is unquestionably one of the Greatest Architectural Wonders Of Ancient World. It is counted as one of the world’s beautiful architecture which hundreds of thousands of people visit every year to admire. It’s a tribute to love built by Shah Jahan, the Mughal Emperor, to commemorate his wife Mumtaz Mahal. 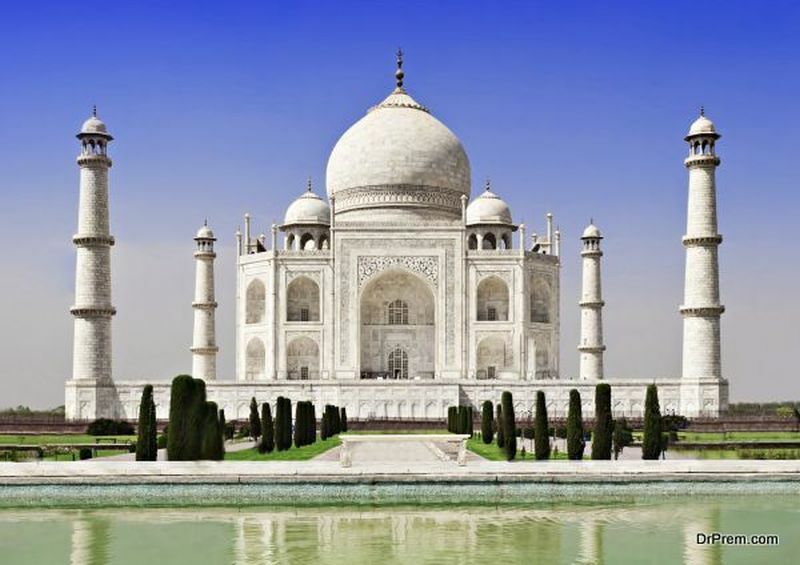 The Taj Mahal represents Persian, Ottoman, Mughal, Indian, and Islamic architectural design. Made from the most beautiful white marble, sandstone, jade, and jasper, it was inlaid with semi-precious and precious stones. The stunning monument has many verses from the Holy Quran inscribed on it. The garden too is symbolic of the ‘paradise garden’ mentioned in mystical Islamic texts. You will be stunned by the sheer beauty of the Greatest Architectural Wonders Of Ancient World, like this mosque in Iran. It took 26 years to be built by the Safavid dynasty. The exterior is as beautiful as the interior, and visitors are blown away by the beauty of the colors, calligraphy, and various motifs incorporated within the architectural designs. Built during the Roman Empire by Emperors Vespasian and Titus way back in 70 – 80 AD, coliseum is 159 ft tall, and was once used as a stage for fights between wild animals and gladiators. It had the capacity to seat 50,000-80,000 people with more than 80 entrances. It has many life size statues and the tiered seating arrangement was for people belonging to different classes – the top for lowest class citizens and ground floor for important ones. An underground section was built for gladiators and wild animals. This is unquestionably one of the best architectural wonders of the world. It’s counted as one of the 7 wonders of the ancient world. It was built for Egypt’s pharaoh Khufu as his resting place. It’s one of Greatest Architectural Wonders Of Ancient World. Very little is known about the methods used by the builders to quarrying and shaping the massive stones of the architecture. It was constructed between 2560 to 2540 BC, and is still standing tall. According to archeological research, the ancient architects used their knowledge of stars to design and plan the Giza pyramid. 2.3 million stones and 500,000 tons mortar were used to complete the pyramid. 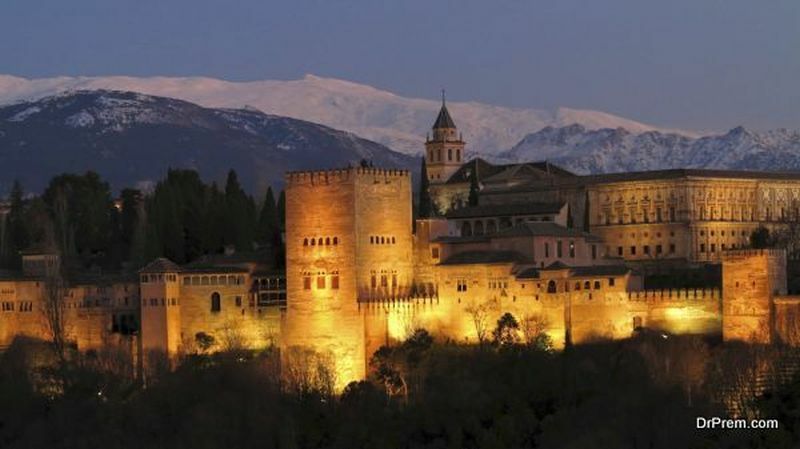 Greatest Architectural Wonders Of Ancient World has to include the Alhambra. More than 5,000 people visit the Alhambra every day. The beautiful structure is to be seen and admired and should be on the bucket list of all those who love beauty. It’s also known as the Great Mosque, and was used as a mosque till 1236. Now, it is a catholic cathedral. Its extraordinary beauty can silence the most garrulous spectator. The arches are candy striped, which creates a hallucinatory effect due to the play of light and shadow. It’s one of the architectural wonders of the world which is testimony to the talent of ancient architects. 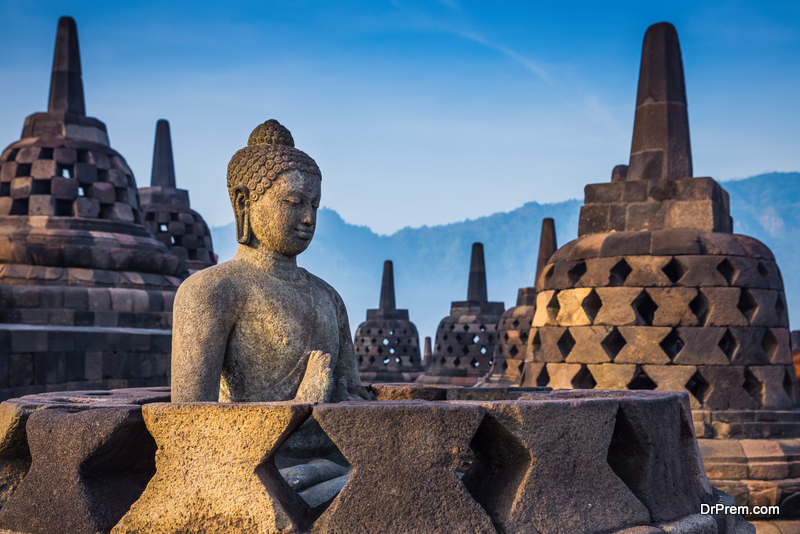 This Buddhist temple has been declared a World Heritage Site. It’s one of the world’s beautiful architecture , which is impressive and built hundreds of years ago. The temple is built in 3 tiers, representing the Buddhist ideology of Arupadhatu, Rupadhatu, and Kamadhatu. It covers 1900 sq meters. The temple has a pyramid like base, a cone like structure at its center, and a stupa on top. The Greatest Architectural Wonders Of Ancient World, this temple dedicated to Lord Buddha- with 504 statues and 72 stupas attributed to him. No one knows who constructed the temple between the 8th and 9th century. It was hidden from sight until 1814. This inspiring architecture in the world is known for the 100 water gutters made in the shape of a fish called ‘makara’. The glittering royal palace – shimmering and dazzling – is covered with colorful glass mosaics and gilt. It houses the holiest icon of Buddha in the country – the Emerald Buddha. The statue is dark green in color and is said to have originated in India; but was enshrined in the palace temple in 1782. It is carved from a single jade stone, and the people of Thailand believe the statue is auspicious for the country. 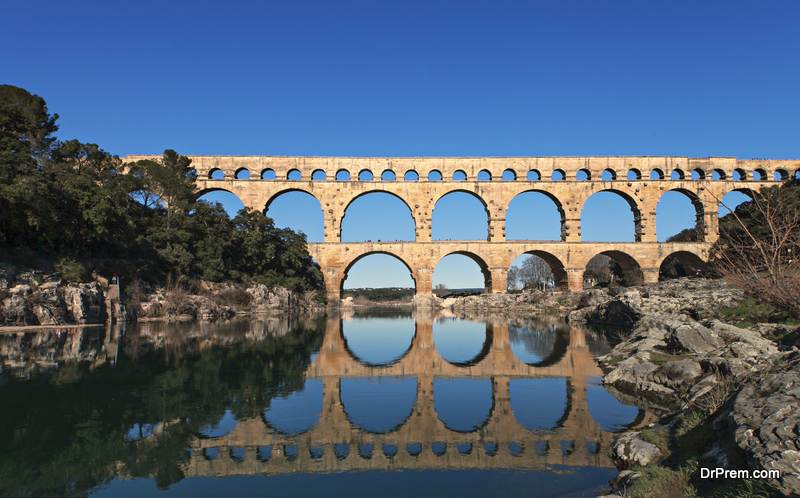 It is an ancient, 50 km long aqueduct bridge, over the Gardon river which flows through Southern France. The bridge is considered to be a masterpiece of Roman architecture. It was built in 1st century AD and has been extremely well preserved. 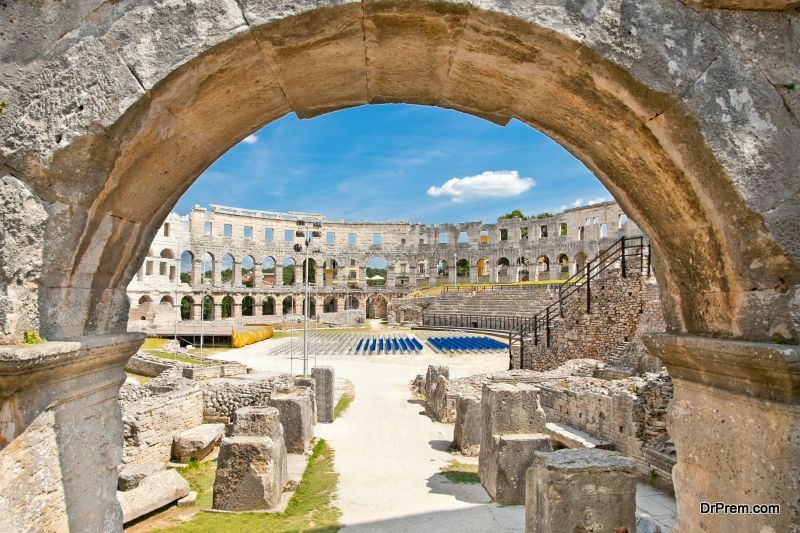 It was used to deliver water from the Uzes commune to the province of Nimes in Rome. It’s made from limestone (50,400 tons) without using any mortar. The temple built during the Chola dynasty outshines all other temples in Tamil Nadu, India. It is built on a huge scale, and the highest point of the temple is 46m. The entire temple is decorated with deities, warriors, demons, maidens, sprites in brilliant colors. The Greatest Architectural Wonders Of Ancient World are standing marvels to the designing and architectural talent of our forefathers. They used their imagination and local material to built magnificent structures which reveal their culture and aesthetic values.